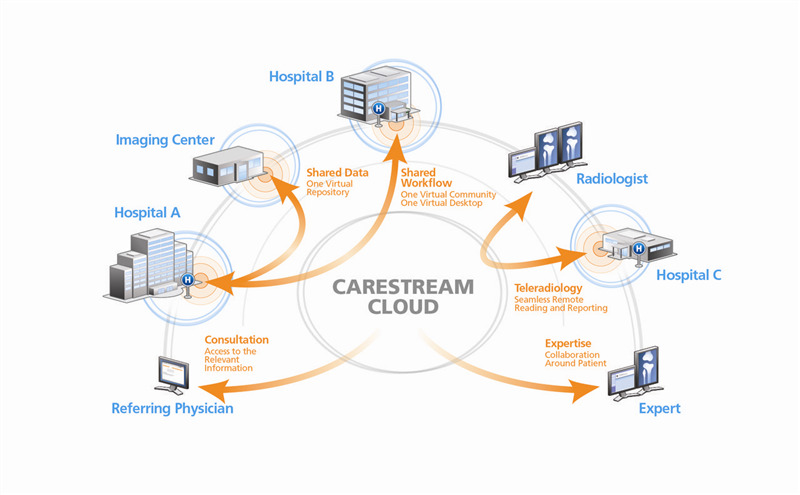 CARESTREAM Vue for Cloud Services is a strategic healthcare information system that delivers simplified, secure, regulatory compliant IT services on a pay-as-you-go basis. It frees your team from the burden of IT management - allowing you to dedicate more time to patient care initiatives. Vue for Cloud employs state-of-the-art cloud computing, streamlines workflow, and integrates seamlessly with regional healthcare information systems.